It’s been almost two months since we got down in Brooklyn. Too long. Our first party back is a family affair. Alex Burkat and Dark Sky – the next two artists to release records on the Mister label – are joining Eamon and Justin for a night of trading records on the big blue soundsystem at the House of Yes. 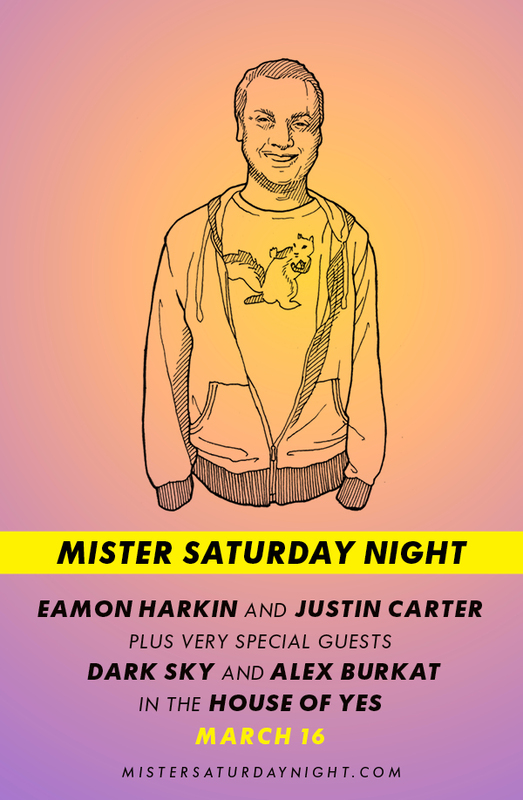 Beer’s free for the first hour of the evening; it’s $10 to get in before midnight with an RSVP to mister@mistersaturdaynight.com; and it’s $15 otherwise. Advance tickets are a good idea as well, as an RSVP doesn’t guarantee admission, and the party’s filled to capacity every time we’ve done it since May of last year. That’s all for now. We’ll see you soon.